With one of the UK's largest student populations, Nottingham is today home to over 54,000 full time students, and is widely acknowledged as being one of the UK's traditional 'university towns.' It attracts a high number of students each year, which makes student property investment in Nottingham a sound investment opportunity for investors. Nottingham is the administrative and commercial heart of the county of Nottinghamshire, in the East Midlands, central England. With an illustrious history dating back to 600 A.D, Nottingham grew to prominence as a manufacturing centre during the Industrial Revolution. Recognised as one of the pre-eminent world workhouses for the production of bicycles, tobacco and other goods; Nottingham quickly made use of its central location and became an important English city throughout the 1800s. 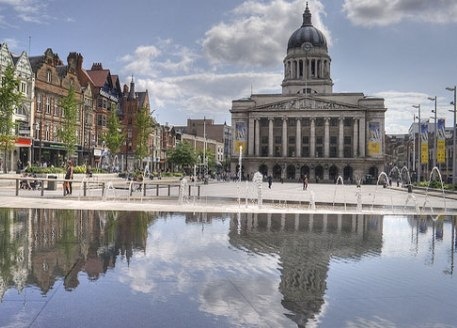 Having been granted full city status in 1897, Nottingham has produced some famous modern personalities such as the iconic working class writer D.H Lawrence, world championship ice skaters Torvill & Dean and football manager Brian Clough. Nottingham enjoys a central location in England, being in the east of the Midlands area just an hour from Birmingham. Built around the River Trent, Nottingham has access to a number of high-speed, high-density roads and railways connecting it to the rest of the country. The M1 motorway runs just 5 miles from the city centre, whilst a comprehensive rail system brings London, Cardiff and Manchester all within a 3 hour journey. Nottingham is one of few cities in England to utilise a tram, or light railway service, whilst bus networks link the city and outlying towns and villages. East Midlands Airport is less than 20 miles from the city centre and is one of the 10 busiest airports in the UK. Nottingham has an historically famous tight boundary line, which means the city's population is always reported as relatively low. Slightly smaller than neighbouring Leicester, Nottingham is currently home to around 300,000 residents. However, the wider urban area of Nottingham is home to almost 650,000 people which places it in the top ten urban areas throughout the United Kingdom. The demographic is predominantly white (70%) with the remaining residents being made up of 13% Asian, 7% Black, 7% Mixed Race and others. Nottingham has two large universities, Nottingham Trent University and the University of Nottingham, which brings 54,000 students into a small population and makes the local area highly dense with students and student investment properties. 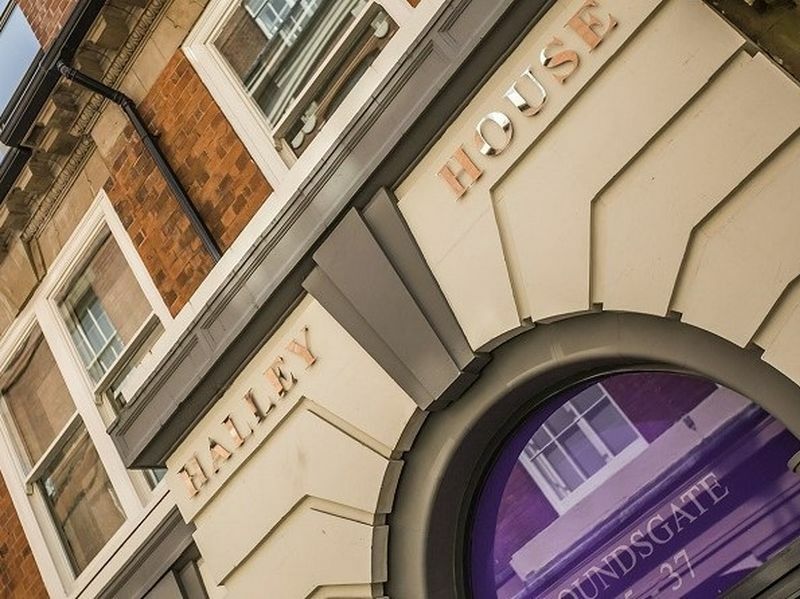 This offers many lucrative opportunities for student accommodation investment in Nottingham. Whilst Nottingham Trent is commonly regarded as a new university and it was a former polytechnic, it can trace its history back to 1843 with its roots in the School of Design. 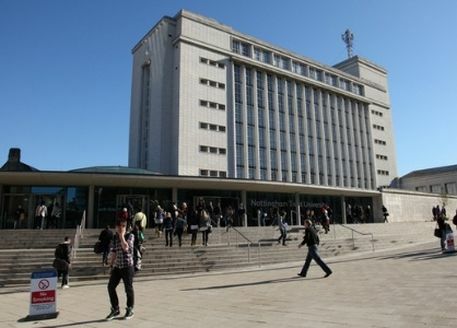 Established in its current guise in 1970 and granted University status in 1992, Nottingham Trent University is a respected institution with alumni including MPs, Composers and a number of television and radio personalities. Nottingham Trent University is spread over three campuses. 'City Site' is the main and most central of the three, with Clifton campus being home to a good proportion of students just four miles from the city. Brackenhurst campus is the smallest and teaches more niche subjects, situated in the countryside, 14 miles outside of Nottingham. The City campus is just 15 minutes' walk from the train station and is less than half an hours' drive from the nearest airport. Both Clifton and Brackenhurst campuses are well serviced by bus routes connecting them to the central campus and city. The 'Unilink' bendy bus service has won awards for its frequency and reliability in connecting the Clifton campus. With almost 25,000 students in attendance at Nottingham Trent; it remains one of the largest new universities in England. With around 18,000 undergraduates and 5,000 post graduates; the learning population and the faculty are made up of more than 80 nationalities. The gender split between students is almost 50:50, making for a diverse and healthy learning environment. Almost 85% of students will see their degrees through to the end and more than half will graduate with a 2:1 or higher. Nottingham Trent University focuses on instilling its students with strong and employable degrees. As a testament to the success of this scheme, 94% of graduates are in work or further study within 6 months and Nottingham Trent is in the top six for year-long student placements. The Brackenhurst campus is home to one of the few schools of 'Animal, Rural and Environmental Sciences' with a strong focus on veterinarian professions. The strongest recognition in fields of study for Nottingham Trent lies in the Arts, Business, Medicine and English Language & Literature. 2008 saw Nottingham Trent University bestowed the honour of being voted the top 'new university' formed after 1992 and in celebration and honour; Sir Michael Parkinson became the first chancellor of the institution. In an effort to move towards research based status, Nottingham Trent has had 8% of its current research classified as 'world leading' and 74% awarded 'international' recognition. The institution was also graded higher than any other new university in a Research Assessment Exercise. 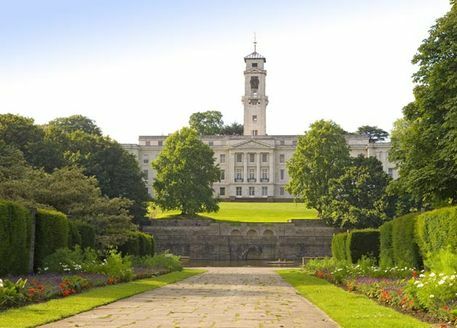 The University of Nottingham is mainly spread over a single campus of more than 300 acres. Just outside of Nottingham's city centre, the campus has won an astounding amount of awards for landscaping and sustainable development. Other campuses include the Jubilee Campus a mile from the main campus, City Hospital Campus and Sutton Bonnington Campus. All locations benefit from Nottingham's excellent motorway links and public transport; with the main campus being less than 3 miles from the train station just 20 minutes from the airport. The University of Nottingham also has international campuses in China and Malaysia. With over 35,000 students in attendance, the University of Nottingham is the fourth largest University in the United Kingdom (third largest if you don't count the Open University.) Postgraduates make up almost 37% of all students, rare amongst modern Universities; whilst the remaining 21,000 is primarily undergraduates. Counting the international campuses, the University of Nottingham has one of the most diverse mixes of students with more than 150 countries represented throughout the population. An astounding 95% of all those enrolled will complete their degree (lowest drop-out rate in England) and almost three quarters will graduate with a 2:1 or First Class Honours. The University of Nottingham is famed for its research-led subjects such as the incredible work being carried out in the field of MRI treatment; a subject for which a resident professor won a Nobel Prize for in 2003. With silicone polymers being discovered at the University, developments in 'in vitro' cultures and the invention of cochlear implants; it's safe to say that the University of Nottingham is world-leading in the Sciences. The University is one of the most targeted amongst graduate employers and the starting salary for students is significantly higher than elsewhere in the country. Some of the most popular current courses include Physiotherapy and Psychology. The University of Nottingham has consistently won plaudits for being in the top three most 'eco' campuses in the world, along with winning a sustainable development award in 2012 and being recognised as a 'Green Flag' winner for ten years in a row.